Welcome to another edition of the Using Mind Maps Newsletter; the Newsletter to help you with using Mind Maps in your daily life. Can you believe it? February is already here. Have you already lost your spark? Are you still as enthusiastic about 2011 as on 1 January? Were you not enthusiastic in the first place? Having a commitment to improve and a plan to do so, can ensure that 2011 is a good year for learning and growth. To help you with this, we've put together a Personal Growth Mind Map Tutor to help you plan your growth and success. We have also changed the Tip of the Month to Mind Map of the Month. Each month, you will get a free Mind Map Tutor to help you to learn faster and easier with Mind Maps. Isn't that great? I am pleased to announce that UsingMindMaps.com is becoming a leading authority on creating and using Mind Maps to learn faster and easier. Our visitor stats are improving, our subscriber list is improving and our Facebook activity is beginning to grow. Our approach to use Free OpenSource Mind Map Software has proven successful. It puts Mind Maps and Mind Mapping into the hands of many more people. Our Mind Map Tutor concept is also proving to be a good approach. People are willing to pay for the knowledge and frameworks that we provide using XMind, our software of choice for our products, bearing in mind that the Mind Maps can be imported into your software of choice. 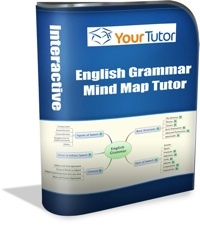 We currently only have two premium products, the Learning Management Program and the English Grammar Mind Map Tutor. Both of these are an essential part of your toolkit for the products that are to come, as a solid learning process and a good English Grammar reference are good tools to have when learning. 2011 is going to be the year of products. We are going to give you a lot more free Mind Map Tutors, as well as many more premium ones. If you are a subject matter expert and think you have the ability to produce a set of Mind Maps on your subject, we can sell it and market it for you using our Franchise Affiliate Program. This is still in its early stages, but if you are interested please feel free to drop us a note using our Contact Form and we will get back to you with the details. We welcome any feedback and comments. Please do this via our Contact Form. We will really appreciate it and it will help us to improve both our free and premium products. You can follow me via my personal Twitter account. We have put together a Mind Map Tutor for you to use as a guide for future growth. By simply following the branches one by one and answering the questions, you will be able to put together a picture of your chosen growth path. Use the Mind Map as a Tool to help you map and plan your personal growth by adding your thoughts and ideas directly on the Mind Map. Add the vision that you have for your life in the next year. What do you want to achieve in your different life roles? Add the ones that apply to you and delete the ones that do not. Add a short vision to each one of them. What methods do you use to stay motivated? Do you have motivational material handy? Do you have motivational Mind Maps? Build up material to program your subconscious mind; the conscious mind will then start putting plans in place to achieve them. Are your goals for the next year documented? Do you have a Mind Map of your Goals? Read our article on SMART goals. Add your goals to the Mind Map. Now put in a plan to achieve your goals. How detailed is your plan. Can you start with a Yearly, Quarterly, Monthly and then Weekly Plan? What are you putting in place to ensure that you follow your plan? Make sure that you regularly look at your plan. What do you do when you miss the dates? Do you reschedule? What do you plan to learn this year? This does not have to be formal learning. Decide what would benefit you. It does not have to be academic. It could be a new skill, a new hobby, or even spiritual. 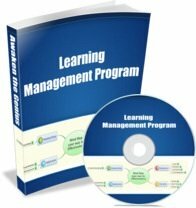 Improve your learning processes so that you can learn faster and easier. Improve your command of the English Language so you can learn faster and easier. Remember that our Learning Management Program and our English Grammar Mind Map Tutor are ideal aids to help you achieve this. As mentioned in previous months, we will be delivering a range of Mind Map Tutors in 2011 to help you at school, college, university and work. We will also be focusing on improving your business as well as your personal life. We are also offering Affiliate Franchises to Subject Matter Experts. If you are a subject matter expert and think you have what it takes to produce high quality material on your subject, then contact us to find out how you can start and run your own business with very little capital outlay. But first go for our free information on our Website, on our Blog , Facebook and Twitter for updated information as it arrives.